Now that Star Wars is part of the Disney family, Princess Leia is now officially a Disney Princess. 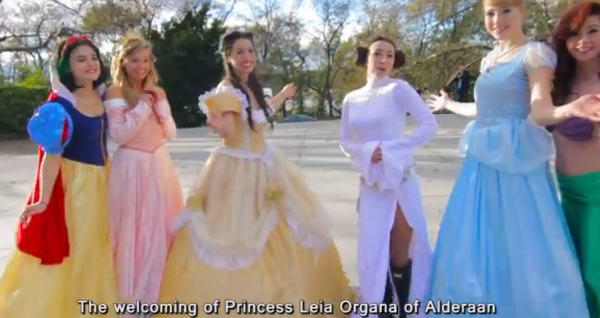 This funny video from AVByte shows Snow White, Ariel, Belle, Cinderella, and Aurora welcoming Leia and explaining the ropes of being a Disney Princess. And, of course, they do it in song. What did you think of the video? What else needs to change now that Leia is a Disney Princess? Which Rumored Director Should Make the Next Star Wars? Funny! She could still kick all of their butts though. Even if she did kiss her brother.